This graph depicts the average total regular season home attendance per team in the National Hockey League from the 2008/09 season to the 2017/18 season. 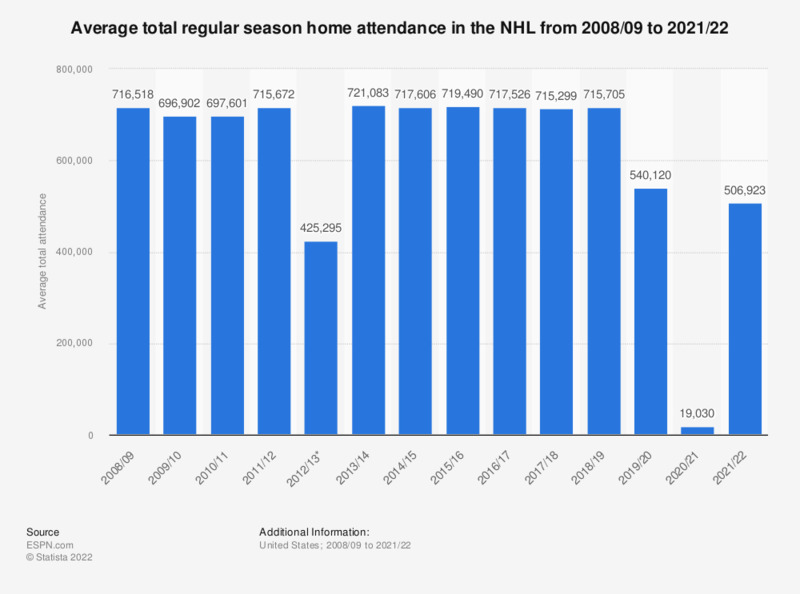 In the 2017/18 season, each NHL franchise had an average total home attendance of 715,299. * Lockout-shortened season; each team played 24 home games compared to 41 home games in prior seasons.